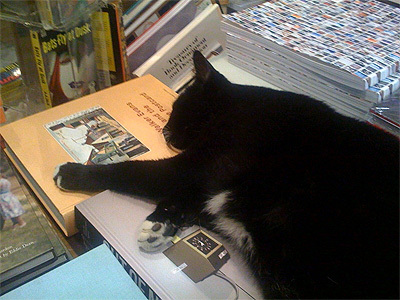 The Job I'd Love to Have: A Bookstore Cat! Photographed at Spoonbill & Sugartown, Booksellers on Sunday April 26, 2009. This page contains a single entry from the blog posted on April 27, 2009 7:14 AM. The previous post in this blog was The Perfect Band Name for a Recession: Thinning of the Heard. The next post in this blog is Three Ways to a Sunset.